Tehran July 14 (IANS) A senior adviser to Iran s Supreme Leader said on Friday that Israel cannot affect the cordial ties between Iran and Russia media reports said. The remarks were made by Ali Akbar Velayati in Moscow on Friday two days after Israeli Prime Minister Benjamin Netanyahu s meeting with Russian President Vladimir Putin Xinhua reported. On Wednesday Netanyahu reiterated Israel s demand that "Iran needs to leave Syria". "The process of developing relations between Iran and Russia is not one-sided and therefore the irrelevant meaningless and interventionist claims made by Netanyahu do not affect Iran-Russia relations " Velayati retorted. Iran s role in Syria will be a key topic at an upcoming summit between Putin and his US counterpart Donald Trump in Finland s capital Helsinki on Monday. Iran and Russia s presence in Syria will continue to protect the country against terrorist groups and US aggression the Iranian senior official said. 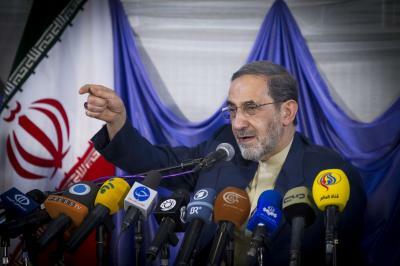 Velayati former Iranian Foreign Minister and incumbent international adviser to Iran s Supreme Leader Ayatollah Ali Khamenei travelled to Moscow on Wednesday to convey messages from Khamenei and Iranian President Hassan Rouhani to Putin.